The discipline of Western Pleasure has arguably been the most debated subject in the horse show world in the last decade– on social media, in the stands at any given horse show, and in the meetings where rule changes are discussed, proposed, and put into effect. The atmosphere at the 2015 Arizona Sun Circuit was abuzz when riders in Senior Western Pleasure were asked to show their horses off the rail. Now that many associations are specifying elements that judges should use when evaluating movement and calling for the class to be utilized as a foundation class for other events, there’s bound to be an impact. The Equine Chronicle interviewed some of the top trainers in the industry to find out how the new rules on paper are reflected in the performances and expectations of our horses. Whether it’s a call for more education, changing perceptions, positive promotion of our industry, or altering the way we show and judge, the answer has yet to be determined. Well-known for her success in this discipline, Trainer Maggie Grandquist of West Des Moines, Iowa believes the changes are welcomed for the preparation of both young and mature horses. “I fully support the changes for the Western Pleasure classes. I believe increased forward motion puts less pressure on young horses to move as slow and collected as more mature horses are capable of doing. 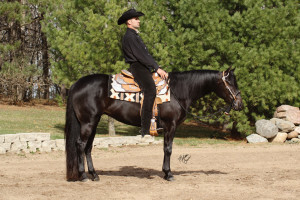 Extending gaits allows more mature horses to perform both extended and with forward motion, which helps prepare them as they move into other classes that require both gaits, such as Western Riding, Horsemanship and Trail,” she says. Trainer and APHA Judge Mark Baus of Stillwater, Minnesota, who stands APHA multiple World Champion Fleet Machine, is in favor of NSBA’s promotion of Western Pleasure as a foundation for other events. “Very few horses make Western Pleasure a career now – the industry has really moved to the all-around horses. That’s why I think it has to be remembered that it is a foundation class for the all-around events,” he agrees. The change is positive for Troy Oakley of Pilot Point, Texas, who is renowned for his success in the Western Pleasure pen. He emphasizes that in order to stay current, everyone in the industry needs to keep an open mind and look toward the future. He challenges his peers to realize that today’s modern horse isn’t necessarily the same as horses of the past. “I believe the horses are as well-trained and as well-kept, as far as condition, grooming, and presentation, as I’ve ever seen in my 35 years in the business. LeBron James is a little better athlete than Michael Jordan was, for example, even though Jordan was amazing,” Oakley says, using a sports analogy to make his point about how the athletic ability and talent level of horses has evolved over the years. The focus on correctness of western gaits has come to the forefront of this discussion, and the task of trainers is to develop what is being called for in the rulebook: cadence, stride, and correctness. Mark Baus clarifies, “Keeping rhythm, cadence, and stride the same is what we already work on each day at home. Some horses have to be taught, and some just have to be maintained if they’re better movers,” he explains. Likewise, Grandquist feels her job is to work on those elements, depending on the horse’s individual abilities. “Each horse has things that come very natural and easy for them. We focus on the things they are weak at and work to improve them every day. The horse tells you in its own way how far you can go before it becomes too difficult. Every day, I make sure each horse has a four-beat walk, a two-beat jog, and a three-beat lope. As a horse trainer specializing in this area, we are very lucky to be around great-minded and talented horses. We have to remind ourselves to be level-minded and act as a good teacher in order to create the best results possible,” she says. Oakley adds that simple forward motion isn’t the ultimate goal in isolation. 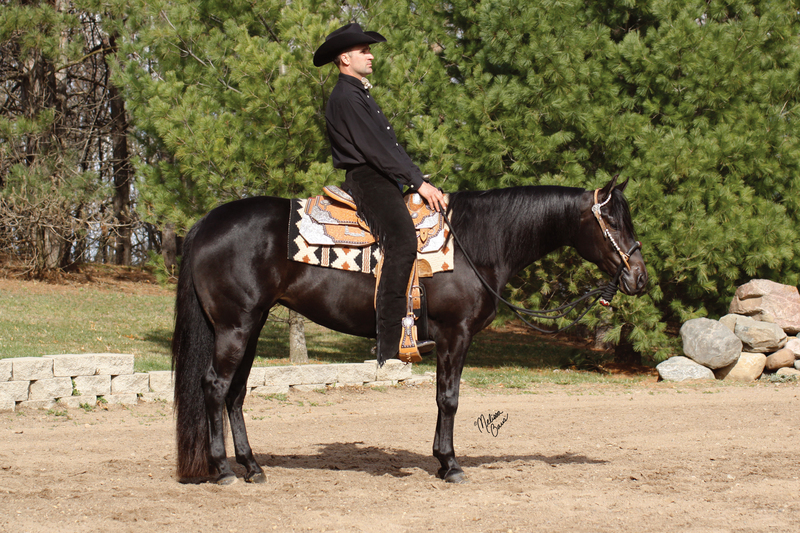 “We’re looking for a true-gaited, four-beat walk, two-beat jog, and three-beat lope. It’s more about maintaining self-carriage to get those true gaits and teaching the horses that need help performing the gaits. A horse’s spine needs to be straight, but a natural mover will be slightly canted. I put heavy emphasis on the word ‘slightly.’ The left hind will slightly track behind those in the front. However, when you put a horse in that C-shape, the outside foot can clear the ground too high and a rider may get an overly animated gait. If you look up the word canter, it means to maintain a canted position. But, if people over-emphasize that, then the horse will move up and down. It just boils down to education, because we’re really supposed to be doing what Dressage riders do for correct gaits, but on a loose rein,” he says. Since the public’s perception and the industry’s perception of Western Pleasure varies so dramatically, education and positive promotion to accompany the rule changes are common suggestions. Oakley recommends education as a way to strengthen the perception of the event, even more so than rule changes. “Criticism needs to be accompanied by answers for improvement, by stewards, by associations, and more. It boils down to the education factor, because if you’re going to tell me that I put my horse in an uncompromising position – give me the knowledge [about why]. If we have improper equipment and behavior, we need someone educated enough to give us the tools to improve. The regional, more inexperienced trainers that are just starting out and trying to get a foothold in the industry often get the brunt of it,” Oakley says. Oakley agrees, adding that a positive vibe would certainly help. “We need both positivity and negativity in order to grow, but a positive vibe would help the trainers who are doing the best they can with the horses they have. When I started out on my own in 1986 with a 14-stall barn, my goal was to have one top horse to show and be competitive on. I couldn’t compare the other 13 horses to that [top level horse], and I had to do the best I could with those other horses. I think that still holds true for trainers today,” he says. Baus also sees the latest education for exhibitors and judges as a step in the right direction. “I think we’re already doing some of what we need to do. The judges, to some extent, have the ability to change what’s presented. As trainers, we’ll train to whatever is winning. Over the last year or two, you’re really seeing horses shown in a different realm to the judges – people are getting off the rail more and being rewarded. An example I like to use is when I watched the horse that won the Green Western Pleasure at the Quarter Horse Congress last year. During the second lope-off, the class was three deep, and it was pretty impressive how broke and confident the horse was while maneuvering through traffic. That’s the kind of broke horse we should be striving for, if the focus later on is for other events. The horse didn’t have to be on the rail, or the slowest one, to win the class.